Evanjalin is determined to return home and she is the only one who can lead them to the heir. As they journey together, Finnikin is affected by her arrogance... and her hope. He begins to believe he will see his childhood friend, Prince Balthazar, again. And that their cursed people will be able to enter Lumatere and be reunited with those trapped inside. He even believes he will find his imprisoned father. But Evanjalin is not what she seems. And the truth will test not only Finnikin's faith in her... but in himself. I started Finnikin of the Rock with high expectations. After falling in love with Melina Marchetta's writing style, I was excited that an author I loved had tackled a genre I'm not as familiar with. I'm not a huge fantasy reader, but that's slowly begun to change over the last year or so. Finnikin of the Rock opens with a prologue that sets up the story as one that is being told "so they will never forget." I really love when books have a recounting the past for future generations vibe. Add to that a group of friends making a pledge to each other, and you'll really get a feel for the tone of the rest of the book from the first few pages. It took me a while to hit my stride with this book - mostly because there were so many different names and locations. To be honest, it really slowed down my reading at first. There are several maps in the front of this book, and you'll absolutely want to reference them while reading. There's a lot thrown at your very quickly in this book! Lumatere has suffered a terrible loss - its royal family murdered, its people trapped within its walls and the ones outside the walls forced to roam and settle in refugee camps. What's so interesting about this book is that there are so many important elements that play a role in the story. You've got politics in the interactions between the different countries. There are supernatural elements with the introduction of curses. How does one measure it, Finnikin? Does a man who's lost his family to famine suffer less than one who's lost them to an assassin's knife? Is it worse to die of drowning than to be trampled under the feet of others? If you lose your wife in childbirth, is it better than watching her burn at the stake. Death is death and loss is loss." For some reason, this really struck a chord with me. It's a question and conversation that isn't bound to the fantasy world of Lumatere. It's just a relevant in the real world - in our own attitudes to others - as it is in this story. Grief and pain are universal, and you can't compare and measure one loss to another. 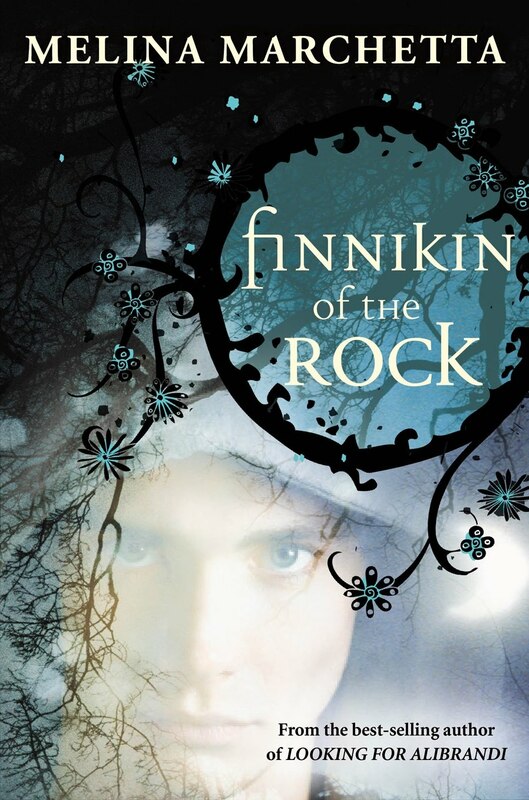 I will be honest, there were things I didn't love about Finnikin of the Rock. From the occasionally confusing storyline to the lackluster romance, I did not love this one as much as I expected. I didn't really believe in the love story, and I found the main female character incredibly frustrating. However, I still saw Marchetta in every word and on every page. Her characters are difficult, real and raw. This is no glittery world with happy people. It's a place where things have been torn apart and will be slow to heal. But it's a rewarding story and one that I'm happy to have read with some lovely ladies for the Lumatere Chronicles Read-Along! "You list the dead. You tell the stories of the past. You write about the catastrophes and massacres. What about the living, Finnikin? Who honors them?" I also agree that the romance was one of the weaker aspects of the book - the rest of the plot was so great, I wish that had been left out. Yes, Marchetta always throws you right into her stories - and it's an extra challenge for a baby fantasy reader. I think I agree on wishing the romance had been left out. I think I would have liked it better if that hadn't been included, too. Very nice review :) I really love the quotes you selected. I've read all of Marchetta's young adult books at this point and really enjoyed them. This one was probably my least favorite of them all (with the series as a whole also being my least fave of all her works) - but they're definitely still worth reading! I love that quote so, so much! I have yet to pick this one up, but from what I've heard (and from your review) it should be really good. Getting used to the world is something that fantasy so often does for me. Even Shadow and Bone, one of my absolute favorites right now, took a while to grow on me. Yes, it definitely takes some time for most fantasy novels to grow on me! This series is definitely like that, but I did enjoy them. And yes - SO QUOTABLE!